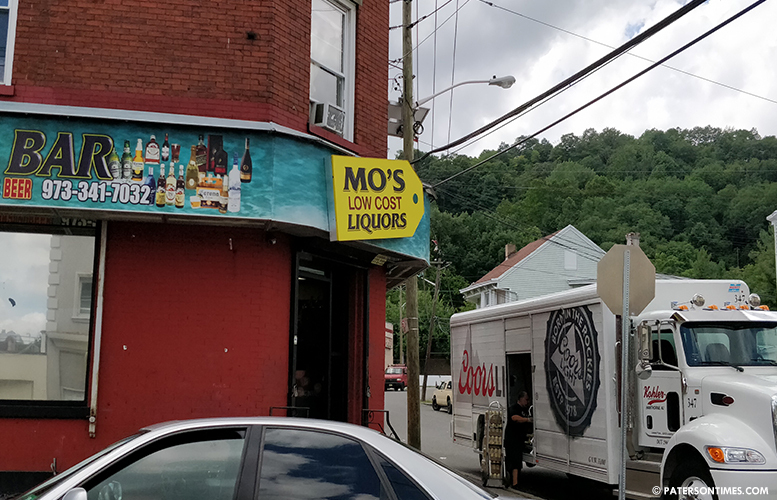 The attorney for Mo’s Low Cost Liquors, the troubled shop at Main-Weiss intersection that police and residents call a crime magnet, secured a temporary stay order on Thursday to allow her client to operate pending a state hearing. Mayor Andre Sayegh said his administration is seeking a hearing with David Rible, director of the state Division of Alcoholic Beverage Control. “We’re going to fight this stay!” said Sayegh early Friday afternoon. Richardson could not be reached for comments on Friday afternoon. In her appeal, she alleges the municipal liquor board was “unduly influenced” by councilman Luis Velez. He attended the public meeting to urge the liquor board to issue a lengthy suspension or revocation. Velez, like Sayegh, has received complaints from neighborhood residents to act against the liquor business that has dozens of suspected drug dealers, gamblers, and gang members every night. Many residents have complained about loud music, rowdy late night crowds, and gunfire. “I’m here for the people. The people want quality of life,” said Velez on Friday. He described the liquor business as a bad neighbor. An undercover police woman, who testified at the municipal liquor board hearing, said she was able to buy a bottle of alcohol after 10 p.m. from a clerk and drugs from someone inside the business. Velez said Richardson did not win the case by securing a stay. “A temporary stay means you have to rush to the hearing,” he said. No hearing date has been scheduled yet before the director, said Lisa Coryell, a spokeswoman for the New Jersey Attorney General’s Office. The order says either party may file a motion with the director to request a hearing on an emergent basis to modify terms of the stay order. Sayegh could not be reached late Friday afternoon to determine whether his administration filed a motion with the state. The city has bungled previous appeals with the state. For example, in the case of a liquor store on 10th Avenue, the city repeatedly failed to file exceptions, allowing a judge to reverse the local liquor board’s decision. Even with the state order, the bar will have to close at midnight late this month. The city council designated the area as a business curfew zone last week.